Manor Country Club’s classic clubhouse sits among gently rolling terrain and majestic trees. This escape to the outskirts of our nation’s capital is the perfect location to hold your social and business events! Allow yourself the luxury of Manor Country Club for your very special day. 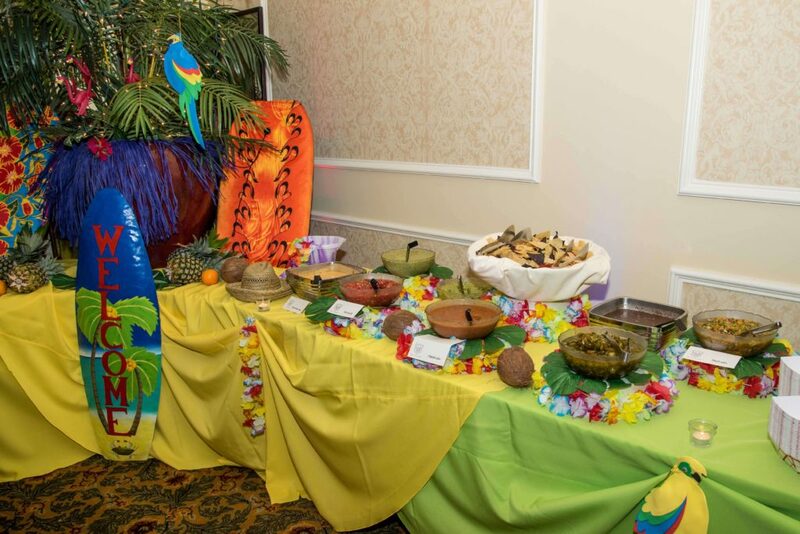 Whether it is a cocktail reception, rehearsal dinner, ceremony and/or wedding reception, or holiday party, our professional staff will make your event feel effortless and let you relax and enjoy! Our talented kitchen team led by Chef Pete Gems will excite you, and our appointed service staff will pamper you and your guests. For more information on our Rockville event venue, please contact us at 240-514-4412 today! Manor Country Club is the perfect venue for a wedding ceremony in Rockville. We offer the flexibility of using both indoor and outdoor spaces for this once-in-a-lifetime event. Take advantage of our spacious accommodations for the bride, groom, and wedding party to prepare. Then, hold the ceremony outdoors or in our exquisite ballroom, which can accommodate up to 250 guests. Utilize the foyer and patio areas for your cocktail reception, plus the lovely garden with scenic views of the golf course for photos. The standard, premium, and ultra wedding packages available from Manor Country Club are designed to exceed your expectations in every way. Choose from delicious personalized menu options, a stunning three-tier custom wedding cake, and much more! With our all-inclusive services, you can simplify your wedding day without making any compromises. Our elegant banquet facility can accommodate up to 230 seated guests or 500 people for reception-style gatherings. Not only do we provide a full-service menu customized by our discerning culinary team, but our location also offers dazzling views of the gardens and golf course just outside. Customize a dinner party package to suit your needs. Whether your banquet is formal or casual, for business or pleasure, we can accommodate you. With our experienced staff waiting on your guests’ every need, you can rest assured that we’ll deliver a world-class event. To learn more about our private event venue in Rockville, call us today at 240-514-4412. Planning a holiday gathering for your office or extended family can be stressful, but not when you choose to hold your event at Manor Country Club! Whether you have a dinner party in mind or more of a cocktail reception, we’ll cater your holiday party package so it meets your needs. We’ll create the setting you have in mind, from stylishly casual to elegantly formal. Then, we’ll provide all the food and drinks you and your guests need to let loose during the hectic holiday season. Looking for a unique idea for a family reunion, work function, charity fundraiser, or enjoyable social event? Consider booking a golf outing at Manor Country Club. We offer an array of options to meet your requirements with 27 championship holes that can accommodate up to 160 golfers. Ultimately, our goal is to allow your group to relax and enjoy a private game of golf on the best-conditioned course in Maryland. Whether you have a formal business gathering or lighthearted social event in mind, Manor Country Club can cater to you. We make every effort to ensure you and your guests have an exceptional experience. With our attentive wait staff, you’ll spend less time worrying and more time enjoying being surrounded by business associates, friends, and family. To book your private event in Rockville, please contact Manor Country Club today at 240-514-4412.